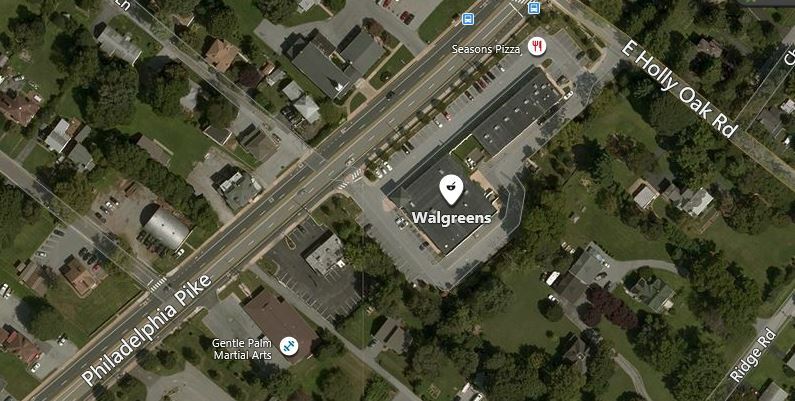 Wilmington – The Delaware State Police are investigating the robbery of a north Wilmington Walgreens that took place Saturday night. The incident occurred at approximately 9:41 p.m., Saturday, February 9, 2019 at the Walgreen’s pharmacy, located at 1508 Philadelphia Pike, Wilmington. A male suspect confronted an employee on the sales floor, implied he had a weapon and threatened to shoot him. The employee was then directed to the sales counter where complied with the suspect’s demand to open the cash register. Once open, the suspect removed an undisclosed amount of cash before fleeing on foot. The employee was not injured as a result of the incident. The suspect was described as a black male, 5’8” tall, 220 lbs., wearing a gray hooded sweatshirt and dark pants.